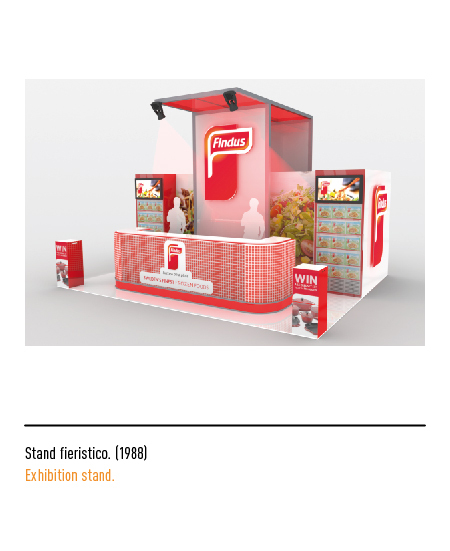 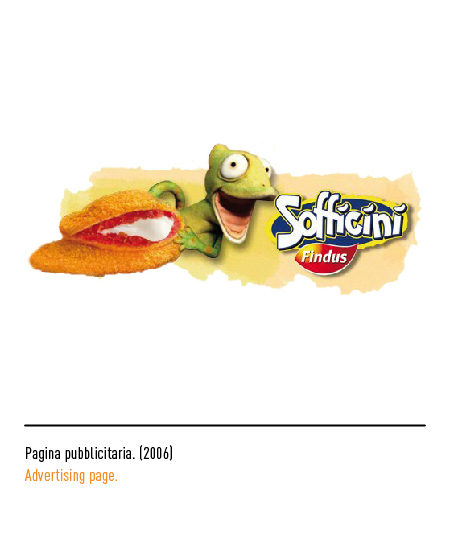 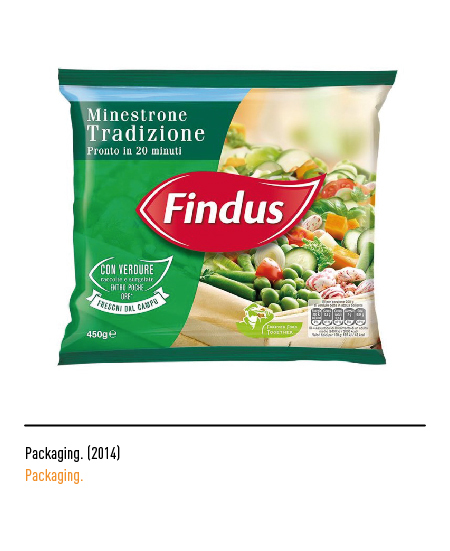 Findus is a company specialized in the production of frozen goods for retail. 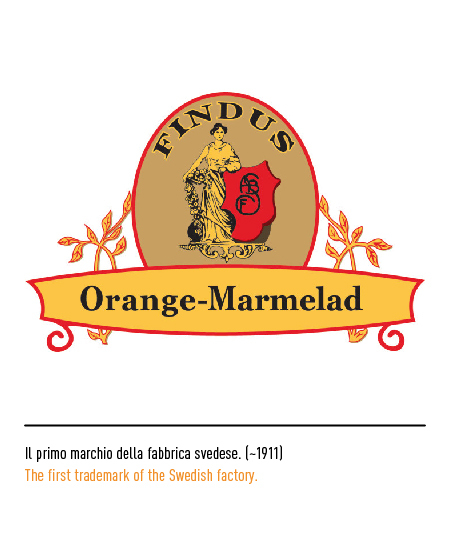 It was founded in Sweden in the early 1900s, and it initially produced jams and comfitures; the first logo, very common at the time, represented a woman holding a cornucopia, the symbol of abundance, placed inside an oval shape. 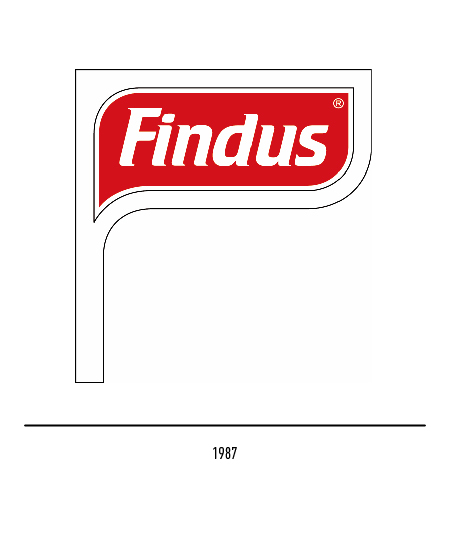 In the 50s, the logotype was then placed on a green shield; successively, the logotype was shown in white, with a serif font, placed onto a red rectangle. 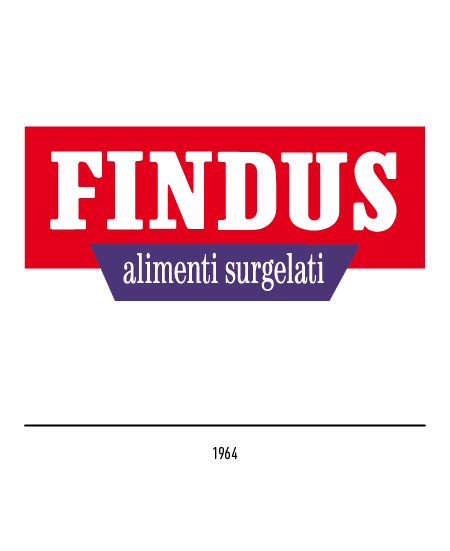 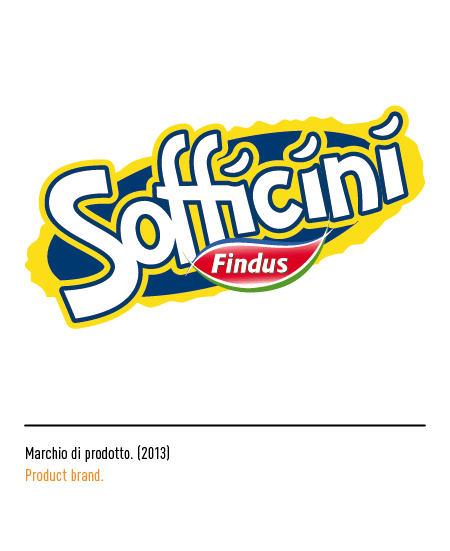 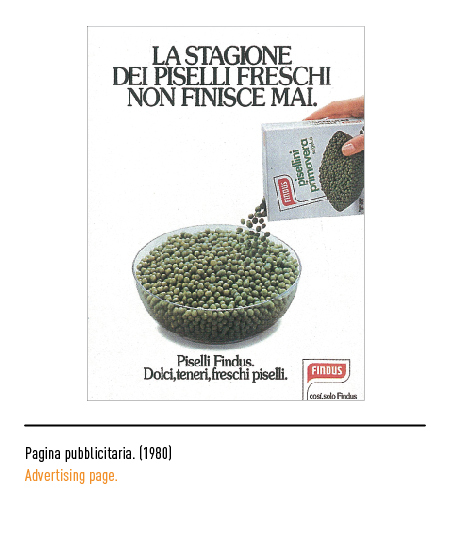 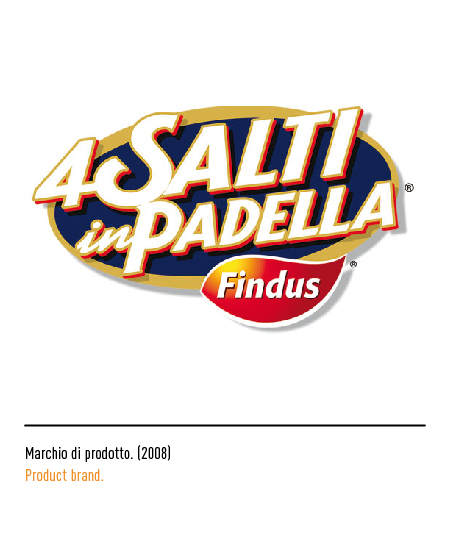 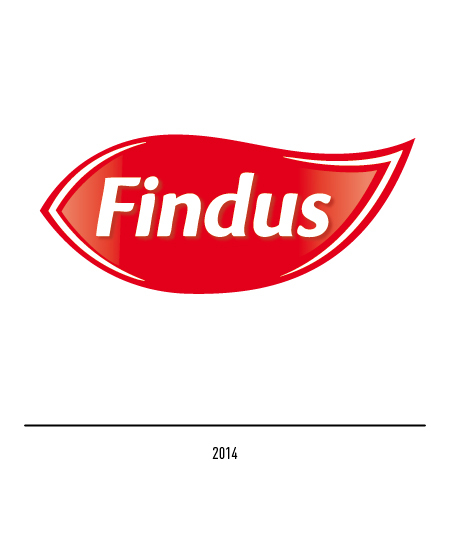 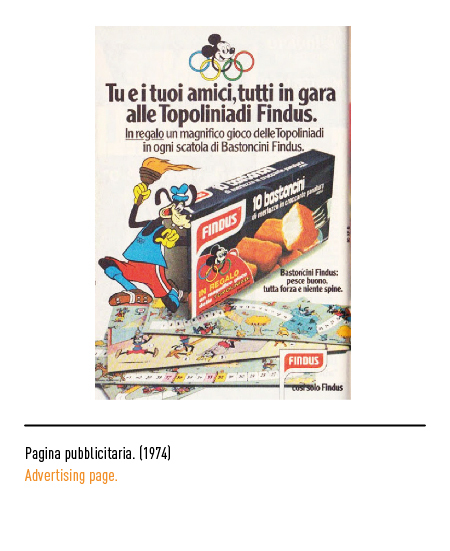 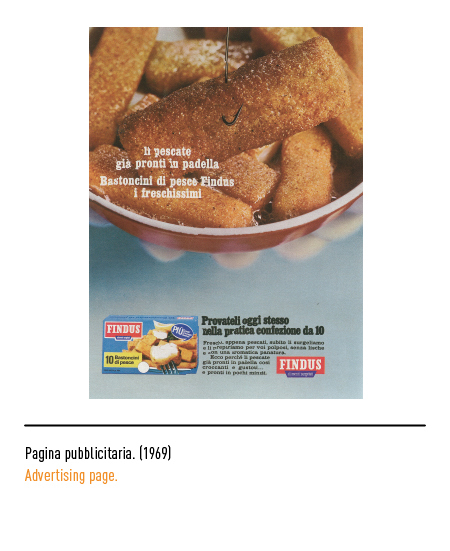 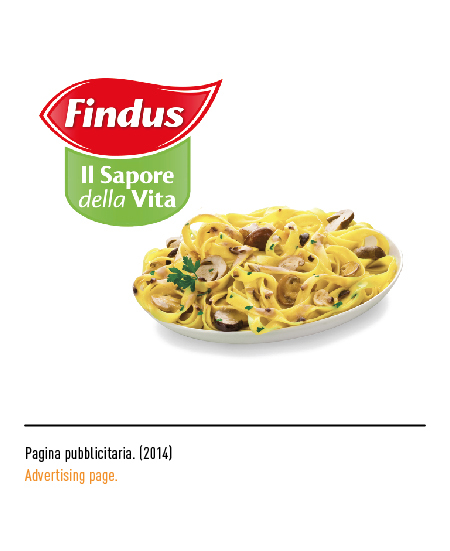 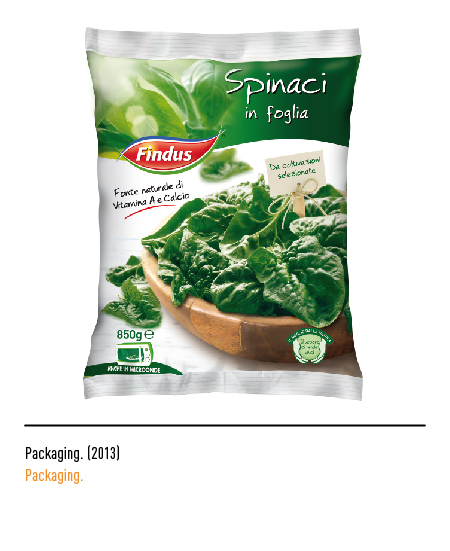 In 1964 Findus enters the Italian market, with their first factory located in Cisterna di Latina. 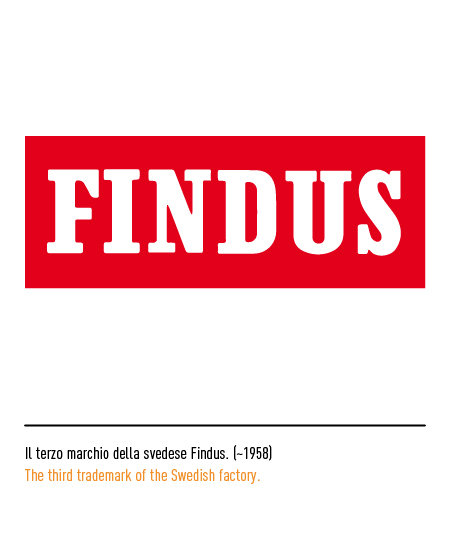 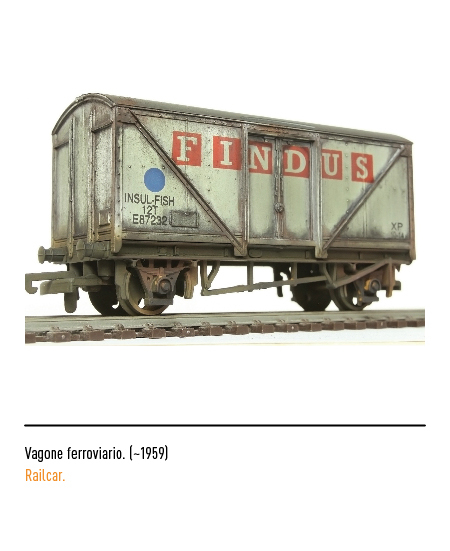 The frozen good market was still in its early phase; throughout the years, Findus came to supply a wide range of different products: from ready-to-eat meals to vegetables, from meat to fish and semi processed pasta; it became leader in its sector in Italy. 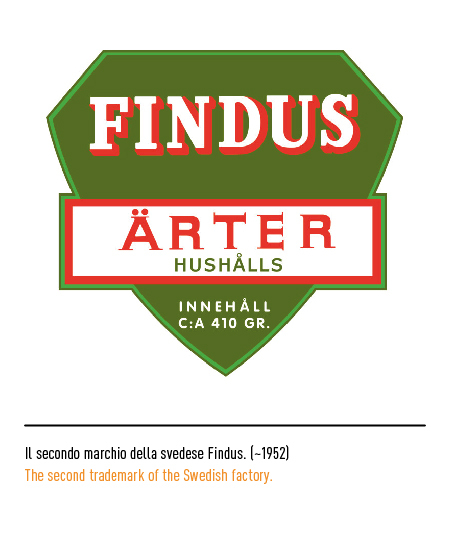 The first “Italian” logo was based on the Swedish one, with the inclusion of a small blue rectangle, below the logo, bearing the typing “alimentisurgelati” (frozen goods). 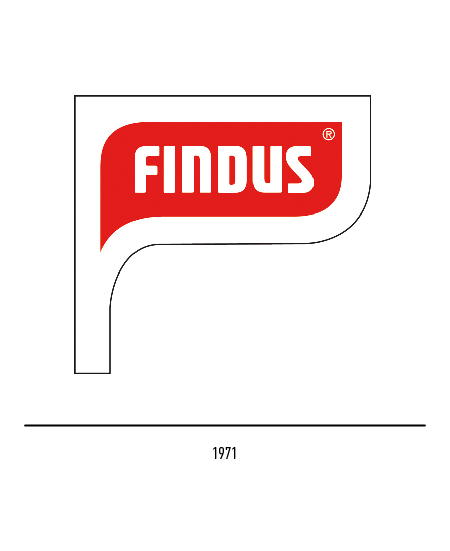 In 1971 the logo was restyled: it acquired the traditional flag shape, as reference to the marine source of the products, and the logotype was changed to a sans font. 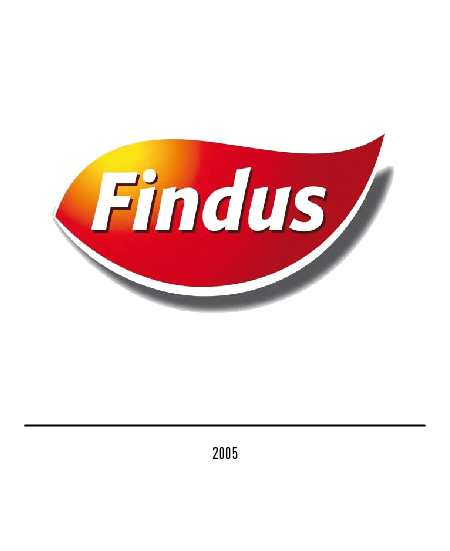 The company is bought by Unilever in 1985: Findus will now be sold also abroad through its corporate sisters, the English “Birds eye” and the German “Iglo”. 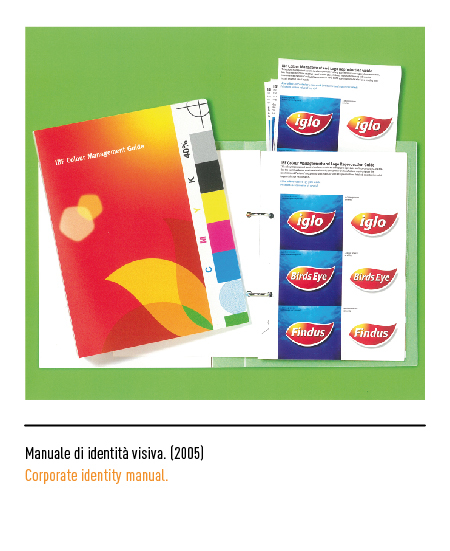 The traditional flag shape will be re-established in the logo presented in 1987, with the editing of the logotype to a Crillee “italic” font; sometimes the whole logo was also changed to the simple red flag shape. 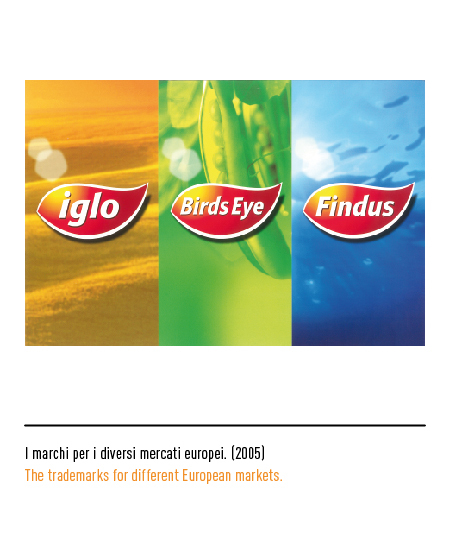 The “Birds Eye”, the “Iglo” and the Findus will be represented by the same logo, created in 2005 by the Carter Wong Tomlin agency of London; it represents the formal evolution of the logo and it consists of a red leaf which bears a sun inside, as a symbol of vitality, nature and dynamism. 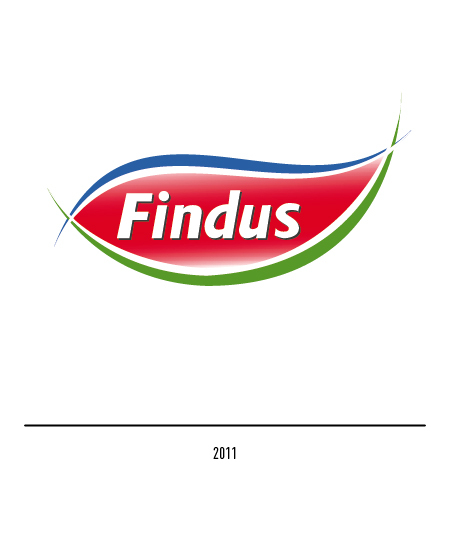 In 2011 a new logo is presented, created by the JKR Global agency of London: a restyling of the previous logo which consists of two extra contour lines (blue and green), which recall the shape of a fish. 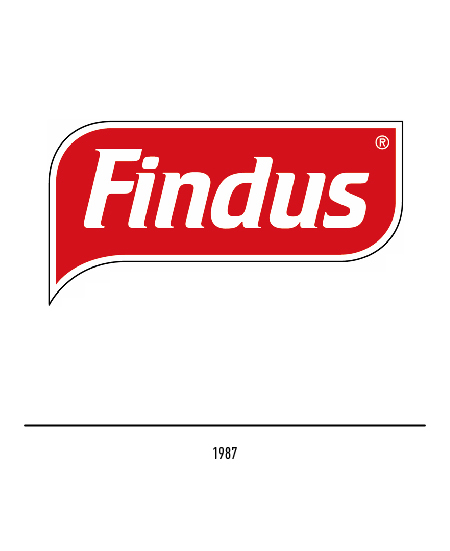 In 2014 a further restyling simplifies the red shape and gives the logotype a softer font; it’s a turning point in Findus history, as expressed through their social responsibility oriented campaign “The taste of life”. 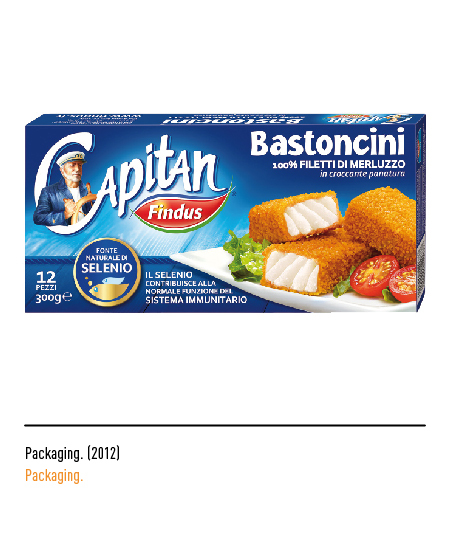 The whole range of Findus packaging is restyled, bearing the logo centrally paired with the famous Captain wearing an all new “green” uniform, as a reminder of his commitment towards sustainability for all ranges of products (therefore losing the focus on sea products).